The screenshot above is hosted and provided by analystsoft.com. Please contact them directly for any copyright infringement as we are not responsible for that content. Last Update: 2009-04-07 - Major Update: Major update. Portuguese version released. No need to carry a mainframe computer to perform a complex statistical analysis when you visit a remote lab. Even a notebook computer is no longer necessary with StatPlus Portable 2008. You only need a light and extremely compact USB flash drive. Plug it into any PC in the lab, and get your customary workplace in a matter of minutes! Have the full power of a professionally developed and precise statistical package always with you. Perform a statistical analysis on-the-fly without carrying a powerful, bulky computer with you all the time. This portable version is able to run from a flash memory stick, and does not require installation to the host PC. 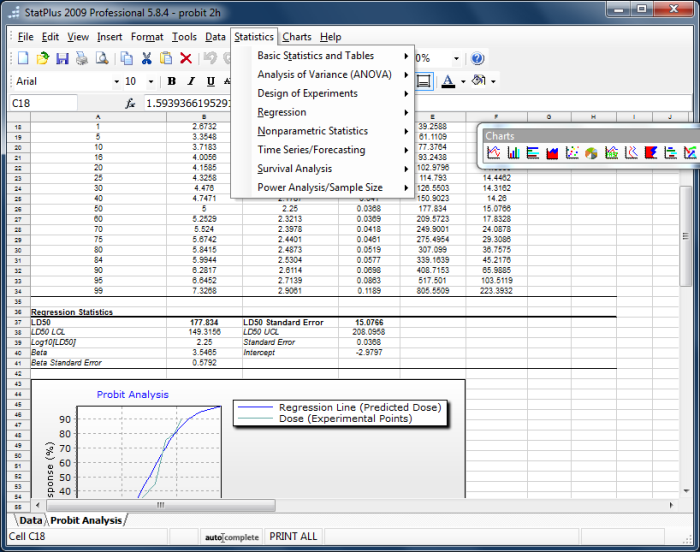 Despite its light designation, StatPlus Portable 2008 is a fully featured, powerful data analysis product. It performs all types of analysis, from very basics to complex procedures such as GLM ANOVA, non-parametric and regression analysis, Probit analysis and Latin squares analysis. Statistical analysis tools such as StatPlus are not for everyone. Heavy-duty packages carry high costs and steep learning curves. With StatPlus you can forget about the learning curve thanks to its intuitive, spreadsheet-like user interface that is as easy to use as MS Excel. Are you working in a lab or studying for your PhD? With its highly affordable price tag and available student and academic discounts, StatPlus Portable 2008 makes a perfect tool for industrial workers as well as university students and teachers.